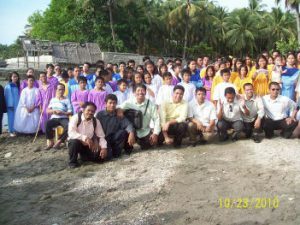 We have just successfully finished our evangelistic crusade here in Iligan City. 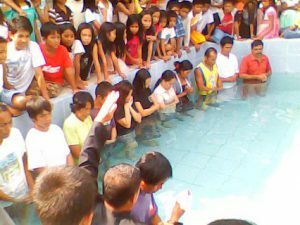 We enthusiastically did groundwork and by the grace of God, 71 precious souls were baptized at His feet last October 23, 2010. 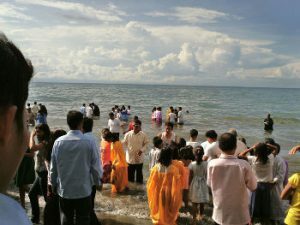 We continued doing home visitations and giving Bible studies and held another evangelistic Crusade at Iligan City Central Church last November 28-December 11, 2010.
souls accepted Jesus Christ as their Personal Savior. We rejoice for the great harvest and we thank our sponsors for your prayers and continued support of God’s work through Adopt a Minister International. Six people who received baptism and sixty two in Osmenia during the Happy Family and Bible Seminar of Pastor Rudy Jimenez. We are happy to be with him during the Seminar.